So what did everyone think of this guide? Did you find it useful and informative? I certainly hope that you did, but this is not the end. While the guide is, in essence, finished when you read this, it is an ever expanding source of information for both new and veteran players alike. 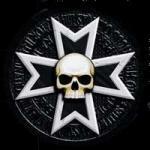 The goal of this website is to pass on knowledge to others about our glorious army, the Black Templars. Because of this, there is always something more that can be written or expanded on to help players grow in their games and become better than they were. Thus, this guide shall continually grow as time goes on. The information here is tailored to the Black Templars, but the core of it can be transferred to any army in Warhammer 40k. I invite you to visit frequently to see what is new in the guide or periodically check back to revisit previously read articles of this guide. It is very important to realize that my bias coming out in this guide, does not need to be yours. I'll be the first to tell you that I'm very opinionated, that I'll quickly jump to defend my ideas. But that doesn't mean that you have to take everything I say to heart. You do NOT need to use my armies. They work for me (in the national meta-scene), but you may not work the best for you. I strongly encourage everyone to decide what they want from the Black Templars. Maybe you want to play with a close combat-oriented army. That's just fine. If you want to field a gunline army, great! Or even a drop pod army, awesome. Play what you desire, have fun with, and is successful for you.